This guide highlights the resources for Human Geography, the study of human settlements in their places. Feminism exists to critically and self-reflexively examine regimes of power at work in everyday life. Through attention to social differences, such as gender, race, class, ethnicity, age, ability, and sexuality, feminist geography highlights the significance of difference in shaping experiences of space and place. Feminist geography emerged in the 1980s as a move within geography that took two primary directions. Communication scholar Sut Jhally applies the late sociologist Erving Goffman's groundbreaking analysis of advertising to the contemporary commercial landscape in this provocative new film about gender as a ritualized cultural performance. This specialty group's mission is to encourage and facilitate intellectual exchange between scholars of all ages working in every branch of the subfield of cultural geography. "To promote scholarly activities on the cultural, demographic, economic, and political dimensions of resource use and ecological change focusing on these issues and their linkages at and across multiple spatial and temporal scales." The application of feminist theory and methodologies to understanding human geography. The intent of feminism is to investigate, reveal, challenge, and change gendered divisions in society. These divisions often manifest themselves as spatial divisions with men and women having different patterns of spatial activity, behaviour, and experiences of place. Feminist geography has thus sought to understand the relationship between gender divisions and spatial divisions, and to challenge their supposed naturalness and legitimacy. 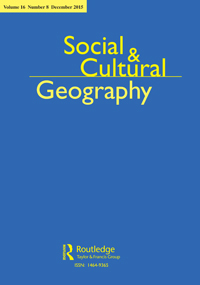 This includes examining gender roles and divisions in the discipline itself with respect to the foci of study, the history, and practice of geography, and the balance of men and women working as professional geographers and career structures (see women in geography), and challenging how geographical research is conceptualized and practised. Feminist geography developed from the late 1970s onwards, building on the second wave feminist movement of the 1960s and radical geography’s challenge to examine and to transform spatial divisions in society. A principal argument was that gender roles and the uneven and unequal positions and power of women and men in society had up to then been largely ignored by geographers. Early work demonstrated that gender relations were the outcome of and reflected in the spatial structure of society. Men and women experience material inequalities in terms of access to work, wealth, power, and status that produce different spatial relations with respect to access to public and private space and time-geographies. For example, women are much more likely to experience spatial behaviour restricted to the home and delimited by child-care and domestic duties, and to undertake work that facilitates these duties such as a part-time job located close to home. These inequalities were shown to be reproduced through patriarchy, which is entrenched in social, political and economic institutions, and popular discourse and the media, and works to maintain a persistent, gendered power geometry. In subsequent work, feminist geographers highlighted the interrelations between patriarchy, identity, embodiment, and spatial subjectivities, and how their entangling produces gendered, embodied, and emotional geographies. Importantly, feminist scholarship has also examined the ways in which gendered divisions are historically and geographically differentiated, varying over time, and across space and cultures. Such studies show how gender relations have evolved in particular locales and how they are differently constituted and experienced in different places. As with feminism more broadly, feminist geography has evolved over time so that it presently consists of a family of theoretical positions, ranging from approaches that are more structuralist in orientation, such as socialist feminism, that situates women’s oppression within the broader framework of class oppression and capital exploitation, through to post-structuralism that recognizes the plurality and differences amongst women and the contingent, relational, and contextual ways in which gender divisions are reproduced. Moreover, given its focus on power, feminist theory has been extended to understand and explain other forms of spatial division centred on identity and cultural politics. This has led to productive engagements of feminist theory with other social theories such as post-colonialism, for example. What unites these various approaches is a commitment to exposing gender and spatial divisions, and to tackle such divisions. Unlike many theoretical approaches that seek to be objective and impartial in the production of knowledge, feminism is explicitly ideological in that it seeks to transform that which it studies (see feminist standpoint theory). Part of this commitment is to transform the practices and structures of geography itself. 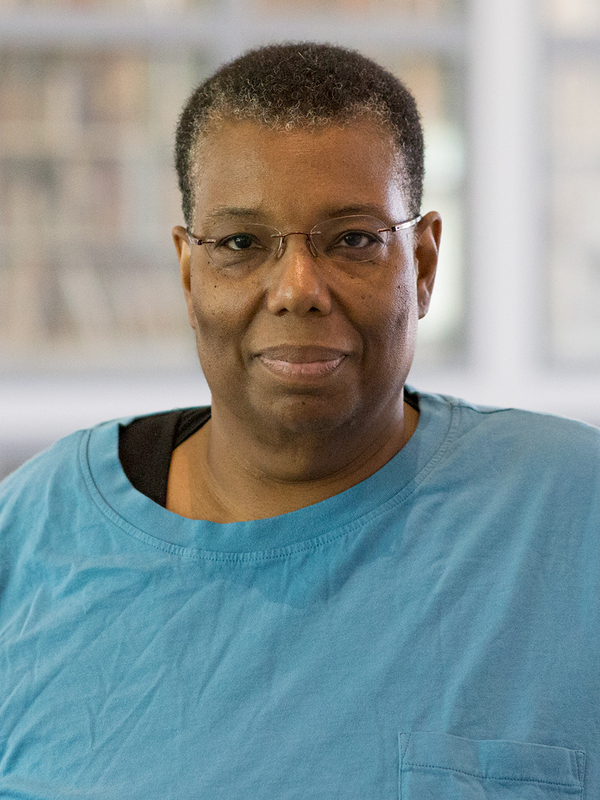 To that end feminist geographers have made critical interventions into the conduct of research in geography, introducing feminist epistemologies and methodologies that challenge the masculinist formulation of science as objective, neutral, and value-free, instead arguing that research always has a positionality that produces situated knowledge. They have thus highlighted the masculinist nature of fieldwork and made the case for more interpretative approaches to research that utilize qualitative methods. These new epistemologies and methods have been adopted widely across the discipline and applied to a wide range of foci beyond gender. You can use the subject headings below to find resources for feminist geography. A Companion to Feminist Geography by Joni Seager; Lise Nelson, eds. A Companion to Feminist Geography captures the breadth and diversity of this vibrant and substantive field. Shows how feminist geography has changed the landscape of geographical inquiry and knowledge since the 1970s. Feminisms in Geography: rethinking space, place, and knowledges by Pamela Moss; Karen Falconer Al-Hindi, eds. In this innovative reader, Pamela Moss and Karen Falconer Al-Hindi present a unique, reflective approach to what feminist geography is and who feminist geographers are. A Feminist Glossary of Human Geography by Linda McDowell; Joanne P. Sharp, eds. This book provides full and accurate descriptions of terms commonly used in geographical debates about gender relations. It does not confine itself to short definitions but allows sufficient space to develop an adequate sense of the complexity of the terms covered. The SAGE Handbook of feminist theory by Mary Evans, Clare Hemmings, Marsha Henry, Hazel Johnstone, Sumi Madhok, Ania Plomien and Sadie Wearing, eds. Feminist Geography in Practice: research and methods by Pamela J. Moss, ed. Why do women and men tend to work in different jobs, in different ways, and in different spaces? Which is more "masculine"--the city or the suburbs? Why is nature often represented in feminine form? This thought-provoking book uses the lens of gender to provide an illuminating new perspective on the geography of everyday life. Articles and other writings about Feminist Geography can be found in many publications. Our collection includes several journals which specifically looks at Feminist Geography. There is a short list below. To find other writings, you can search in GeoBase or use the Summon link below. The aim of Gender, Place and Culture is to provide a forum for debate in human geography and related disciplines on theoretically-informed research concerned with gender issues. It also seeks to highlight the significance of such research for feminism and women's studies. The Latin American Journal of Geography and Gender has as its mission the publication of scientific articles on geography, gender and sexualities focusing specifically on theoretical and methodological perspectives. This database covers the core disciplines in feminist research. Use Geobase to search the geographical literature to find articles about feminist geography. Want an easy way to keep up with the journal literature for all facets of Geography? And you use a mobile device? You can install the BrowZine app and create a custom Bookshelf of your favorite journal titles. Then you will get the Table of Contents (ToCs) of your favorite journals automatically delivered to you when they become available. Once you have the ToC's you can download and read the articles you want.